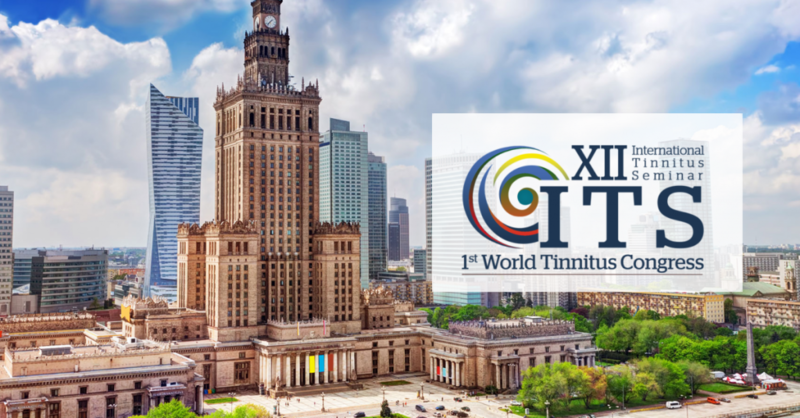 Antinitus® was an active participant at the World Tinnitus Congress on May 22–24 in Warsaw. The purpose of the visit was to pursue news and research on tinnitus, and to present the Antinitus patch, a Swedish innovative treatment method for tinnitus. A growing number of people worldwide suffer from tinnitus, an estimated 10–15% of the world’s population. Therefore, tinnitus research is of increasing clinical and social interest. The World Tinnitus Congress brings together the most experienced and prominent researchers and clinics to actively discuss the latest ideas, results and challenges, with the aim of applying new insights to tinnitus in research and clinical work. Antinitus was well represented in both the research and market areas, as well as by representatives from the clinical study work that has been carried out. Antinitus® exhibited as a partner and presented the tinnitus patch Antinitus. This innovative treatment for tinnitus quickly attracted attention from interested congress participants. Many people thought it was exciting to come across a completely new approach to tinnitus research and the mechanics and technology of the treatment. Some also established that the product’s clinical studies had very positive results compared to other treatments for tinnitus. Taking part in medical congresses on tinnitus and other hearing disorders is part of Antinitus’ strategy for gaining a greater understanding in the area, with the goal of expanding the product range to more and better products that can help the world’s population achieve increased well-being.